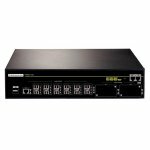 FoxGate F800E-2G is a multicore firewall designed for enterprise networks, service providers and databases. The device can be easily integrated into the network and has extensive features to protect your network. This unit can handle a large number of client’s requests regardless of their nature, such as VLAN-s, PPPoE setting, DHCP requests, traffic filtering and more. 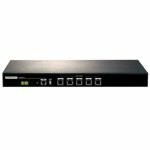 FoxGate F800E-10G is a multi-core firewall designed for enterprise networks, service providers and databases. The device can be easily integrated into the network and has extensive features to protect your network. This unit can handle a large number of client requests regardless of their nature, such as VLAN-s, PPPoE setting, DHCP requests, traffic filtering and more. FoxGate F800E-V2 is multicore firewall designed for enterprise networks, service providers and databases. The device can be easily integrated into the network and has extensive features to protect your network. This unit can handle a large number of client’s requests regardless of their nature, such as VLAN-s, PPPoE setting, DHCP requests, traffic filtering and more. 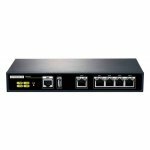 FoxGate F800S-H is multicore firewall designed for small and medium office networks. The device can be easily integrated into the network and has extensive features to protect your network. This unit can handle a large number of client requests regardless of their nature, such as VLAN-s, PPPoE setting, DHCP requests, traffic filtering and more. 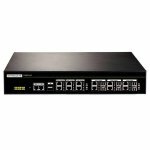 FoxGate F800S-V2 is a multicore firewall designed for enterprise networks, service providers and databases. 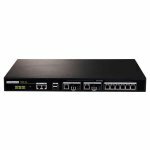 The device can be easily integrated into the network and has extensive features to protect your network. This unit can handle a large number of client requests regardless of their nature, such as VLAN-s, PPPoE setting, DHCP requests, traffic filtering and more.